Is anyone ever really free of their past? Is it truly possible to start over fresh? Etta was certainly going to try. After her turbulent undergraduate years, she was getting a fresh start in Marquette and finishing her dream. She’d pour everything she had into a healthy mind, body and spirit and work to become the best writer she could. What a dream spot to do it, along the shores of Lake Superior. Tom was forging a new vision for his life after a career-ending injury as a power player on Northern Michigan’s college hockey team. The NHL was no longer in his future. But what were his prospects? Where would he find that something he’d longed for, to build a life like his parents had? How could he form what they had found together? After a meeting of the minds, Tom and Etta create a bond from friendship. That friendship blossoms into romance. But is it really possible to start anew with so much baggage and no clear vision of the future? Do your experiences shape you into someone who can make something pure and clean from the crumbling embers? Or will the past always come looking for you when you least expect it? Words from another Henrietta, who re-built her life from tragedy, bring the answers that allow Etta to move forward. But is it already too late? 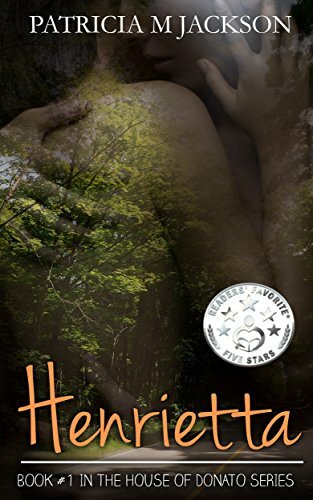 Henrietta is stand-alone coming-of-age romance, which is the first in a three-book series, set in Marquette, Michigan and northern Iowa. Are you tired of romances that are always about a billionaire or a bad boy? Or better yet, the troublemaker who is in reality a good man but nobody knows it? They aren't realistic and after a few of them, they grow old. Patricia M Jackson strives to write romances about people you might meet in real life, people like you and I. They may do somewhat extraordinary things in her books, but their fifteen minutes of fame are quickly gone and they go on to live the lives of a Regular Jane and Joe.